3.Development of a smart sensing system to study the life parameters of Eri Silkworm. Debashis Saikia, Utpal Sarma, Pradip Kr. Boruah, “Development of a Sensor Node for on Line Heat Index Measurement” in the 57th Annual Technical Session organized by Assam science Society in collaboration with Gauhati University. Debashis Saikia, Utpal Sarma, Pradip Kr. Boruah, “An RS 485 Based Smart Sensor Network for Online Thermal Environment Monitoring ” in the National Seminar on Frontiers in Science and Technology (58th Annual Technical Session) organized by Assam science Society and hosted by Gauhati University. Debashis Saikia, Utpal Sarma, Pradip Kr. Boruah, “A Process Parameter Monitoring System for Green Tea Factory” in the International Conference on Green Energy & Smart Materials Through Science Technology and Management (GESM-14) jointly organized by Faculty of Technology, Gauhati University and University of South Africa (UNISA). Debashis Saikia, Manash Protim Goswami, P.K. Boruah, Utpal Sarma, “A Network Based Industrial Thermometer Using K-type Thermocouple” in the IXth National Conference of Physics Academy of North-East (PANE) organized by NERIST, Arunachal Pradesh. Manash Protim Goswami, Debashis Saikia, Utpal Sarma, “Development of an Online Temperature Measurement System Implementing Thermoemf to Digital Conversion Technique” in the IXth National Conference of Physics Academy of North-East (PANE) organized by NERIST, Arunachal Pradesh. Debashis Saikia, Diganta Kumar Sarma, P.K. 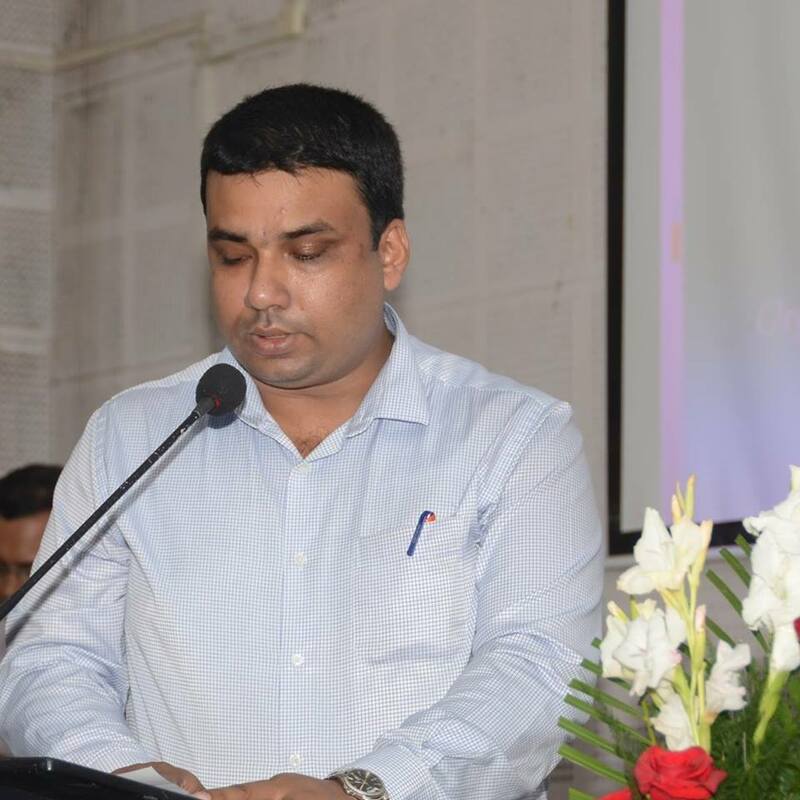 Boruah, Utpal Sarma, “Studies on Correlation between Tea Process Parameters and Overall Liquor Rating Using MLR and ANN Based Technique” in International Conference on Electronic Devices, Circuits, Applied Electronics and Communication Technology (EDCAECT 2015) organized by Department of Electronics & Communication Technology, Gauhati University, Guwahati, Assam, India and Krishi Sanskriti, New Delhi, India. Completed a two weeks advanced workshop on “Microprocessor Application and Embedded System Design” during 21st November to 3rd December, 2011 organized by Department of Instrumentation and USIC, Gauhati University. Completed a one week “National workshop on Lab VIEW based Graphical System Design” during 24th to 29th September, 2012 organized by Department of Electronics and Communication Technology, Gauhati University and National Instruments. Completed a two week “Short term course on Application of Soft Computing Tools in the Field of Science and Technology (STCSCT 2013)” during 17th June to 29th June, 2013 organized by Don Bosco College of Engineering and Technology, Guwahati. Participated in the “National Level Workshop on Embedded System Design for Scientific Application” of one week duration from 18th February, 2013 as a TUTOR organized by Department of Instrumentation and USIC, Gauhati University in collaboration with CSIR-Central Electronics Engineering Research Institute, Pilani. Participated in the Faculty development Program on "Fundamentals of Analog Integrated Circuit Design” during 23 - 31 Jan 2017, Organised by E&ICT Academy IITG & Gauhati University. Ø Completed one month industrial training in IOCL, refinery division, Guwahati from 1st July to 31st July, 2010.